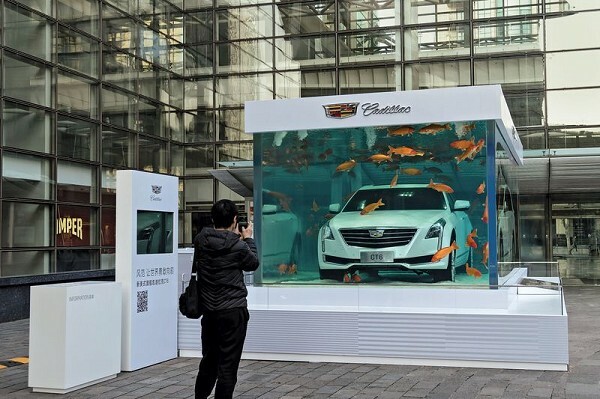 A Cadillac displayed in Shanghai attracts attention. Is there a Trump Effect spurring American business? Even skeptics are beginning to believe it. Hours after meeting with new President Donald J. Trump, General Motors Corp. announced it will invest $47 million in its manufacturing facilities in Spring Hill, Tennessee and Bay City, Michigan to prepare for future product programs. And, GM announced that Cadillac sold far more cars in China in the first month of 2017 than it did in the U.S., a symbolic milestone for General Motors' iconic premium brand as it works to expand beyond a home market where foreign luxury companies dominate. Sales of 18,011 cars in China was 73 percent more than Cadillacs sold in the U.S., the Wall Street Journal reported. "The brand is recognized in China as having long heritage and pedigree," says Cadillac President Johan de Nysschen. "It is also seen as fresh and new. 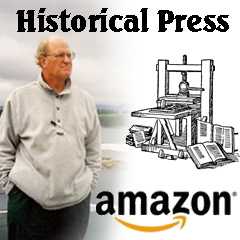 Its U.S. history has had its ups and downs." GM is lavishing $12 billion on new Cadillac models that it will sell globally by 2020. Several are SUVs, favored by American and Chinese luxury buyers. While it offered to buy out more than 40 percent of its 925 U.S. dealers last year, Cadillac plans to almost double its dealership count in China, to 300, in the next few years. That?s why GM was comfortable opening a $1.2 billion plant in Shanghai in 2016 to build the new CT6 sedan and XT5 SUV. Starting production on the mainland helped to jump-start growth because the locally built vehicles avoid China?s 25 percent import tariff, which, when added to the country?s 17.5 percent value-added tax, made Caddys too pricey for many buyers. Michigan also can boast of being named the site for a stunning new joint venture between GM and Honda. General Motors Co. (NYSE: GM) and Honda (NYSE: HMC) today announced the establishment of the auto industry's first manufacturing joint venture to mass produce an advanced hydrogen fuel cell system that will be used in future products from each company. Fuel Cell System Manufacturing, LLC will operate within GM's existing battery pack manufacturing facility site in Brownstown, Michigan, south of Detroit. Mass production of fuel cell systems is expected to begin around 2020 and create nearly 100 new jobs. The companies are making equal investments totaling $85 million in the joint venture. The combined Bay City-Spring Hill investments will result in 230 retained jobs in the U.S. This is part of a $1 billion investment in U.S. manufacturing operations announced by the company in January. GM has invested more than $21 billion in U.S. operations since 2009. Bay City Powertrain produces engine components used in Chevrolet, Buick, GMC and Cadillac vehicles General Motors Co. (NYSE: GM, TSX: GMM) and its partners produce vehicles in 31 countries, and the company has leadership positions in the world's largest markets. I believe Bay City GM plant is making cam shafts and piston rods for Buick and Chevrolet. It looks like they are expanding to Cadillac also. This is good News for Bay City.